Are You Fit for the Future? Digital disruption, global reach, and the changing workplace affect us all, and at all levels - individual, team, organisation, and community. 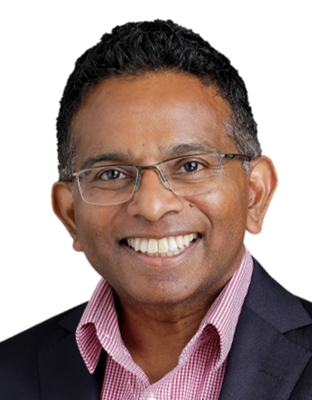 Gihan Perera is a futurist, conference speaker, author and consultant who gives you a glimpse into what's ahead - and how you can become fit for the future. This book was published in 2011, so some of it is out of date now. But a lot of it is still relevant. So, rather than removing it from circulation altogether, I’m making it available here as a free download. Unfortunately, most businesses don’t know the rules have changed. They think Internet marketing is about branding, hype, advertising, mass markets, needs, traffic, transactions, copywriting and better products and services. It’s not. It’s about personality, value, reputation, niches, wants, communities, connections, buying frames and better experiences. If you’re a business owner, you must change your business to stay ahead. This book shows you what has changed, and helps you create a practical strategy to take advantage of the incredible opportunities. Imagine having a guide to help you understand the bewildering range of options available, and learn what’s right for you in your business. That's what this book will teach you to do. I know that’s a lot of value, but I promise you’ll get it all … and more. I’ll also give you a simple but powerful process for looking at all of this information and converting it into a strategic plan that’s right for your business. For some readers, this is the most useful part of the book! And it’s not like any other book about the Internet. There are lots of Internet business books. So what makes this one different? The simple answer is: I’ve been there and done that. I know what works – and doesn’t work. I’ve been using the Internet since 1987 – long before most people even knew there was an Internet! There was no Google, Facebook, Twitter or blogging – but we did have e-mail, online communities, social media (although we didn’t call it that!) and online collaboration. The Internet seems like it has grown a lot in the last few years – and it has – but most of the principles for Internet success are exactly the same as they were in the 1980s. I’ve also been running an Internet consulting business since 1997, working with hundreds of business owners and organisations in Australia and elsewhere. I’ve helped them build an online presence, reach more people, create new products and dramatically increase their profits by tapping into the power of the Internet. So what I’m saying is … I’ll share my real-life experience with you. You’ll learn to apply the principles that I know work, and avoid the common mistakes many businesses make. Which means no fluff. Just the real answers you want to know. So, how much better would you feel knowing all the answers to these questions and more? Wouldn’t you have a much better chance of making your business more successful? This really is a short-cut to producing your Internet strategy – and then putting it into practice. How much is a book like this worth? Over the last 14 years, I’ve been sharing this knowledge through consulting, training workshops, conference presentations and to members of my membership site. My consulting clients pay thousands of dollars for some of this material, and even the members of my membership site pay $50 per month for access to it. That’s why “Fast, Flat and Free” is a bargain at just A$33.00 (including GST), plus postage and handling. If you prefer an e-book version, that’s just US$9.99.